Truman’s energizing Facial Scrub clears away dead skin and removes dirt for a clear complexion. A combination of natural Peppermint, Eucalyptus, and Menthol Oils invigorate, restore and moisturize, leaving your skin clean and hydrated. DIRECTIONS: Wet skin. Massage into skin with circular motions. Rinse and pat dry with towel. Use 3-4 times a week. 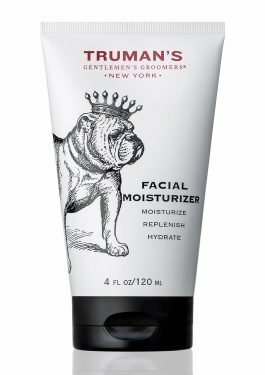 Truman’s Moisturizing Shampoo is formulated to removes excess oils, residue, and buildup while sealing in moisture and nourishing hair. A proprietary blend of proteins and antioxidants strengthens follicles, enhances circulation to scalp, and delivers long-lasting volume for thicker hair. 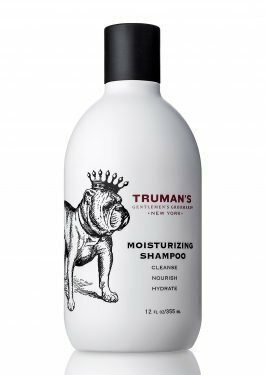 This is not a two-in-one shampoo/conditioner as many conditioners add too much weight to men's hair. Directions: Made for daily use. Thoroughly massage into wet hair and scalp, then rinse.